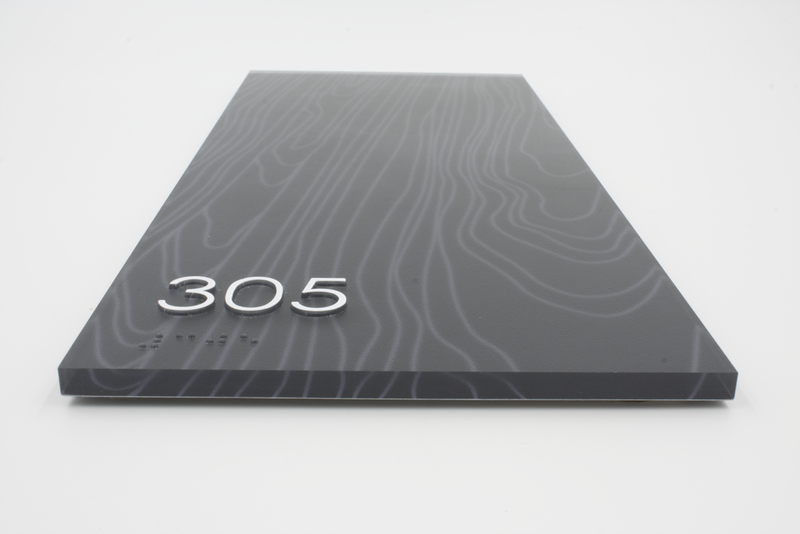 Here at Encompass Sign Systems, our tactile ADA signs are made with the innovative thermoforming, compression-molding process that enables designers the creative latitude to accentuate their client’s brand stylings. Unprecedented quality, design-rich capabilities and a wholesale pricing model all combine to result in compelling sign packages that meet all ADA requirements. Our current ADA thermoformed product lines. 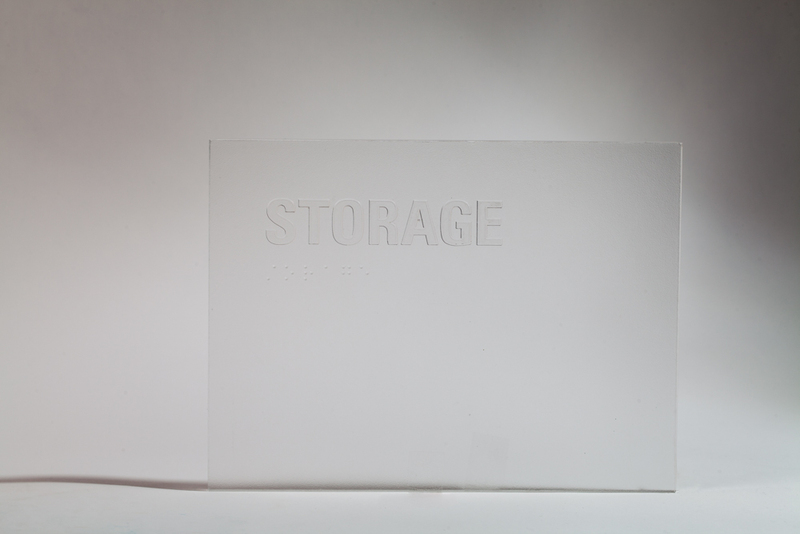 Tactile signage integrated with photoluminescence. Thermoformed from 100% post-consumer recycled plastics, these signs can be re-purposed with a retro-linoleum look or a top-surface paint treatment for ADA compliant signs to achieve LEED credit. In the USGBC, Building Design and Construction (BD+C), this product can earn up to two points in the MR4c category. 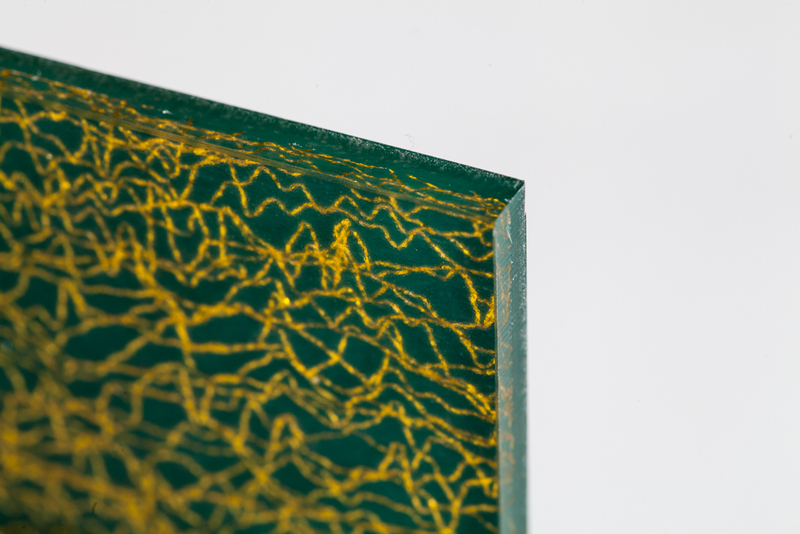 Unprecedented capability to integrate textiles, grasses, feathers, organics, hardware components, and virtually any element less than 1/2" thick into a clear acrylic molded piece. 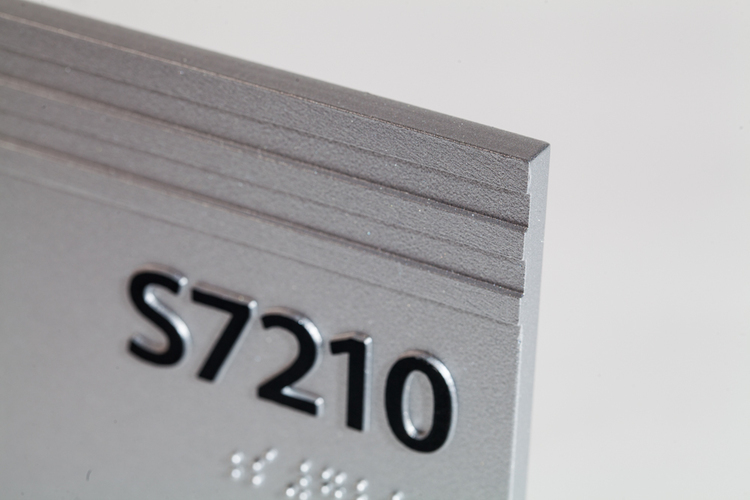 The ultimate in branded code signage personalization. Introducing, EMBED-press. 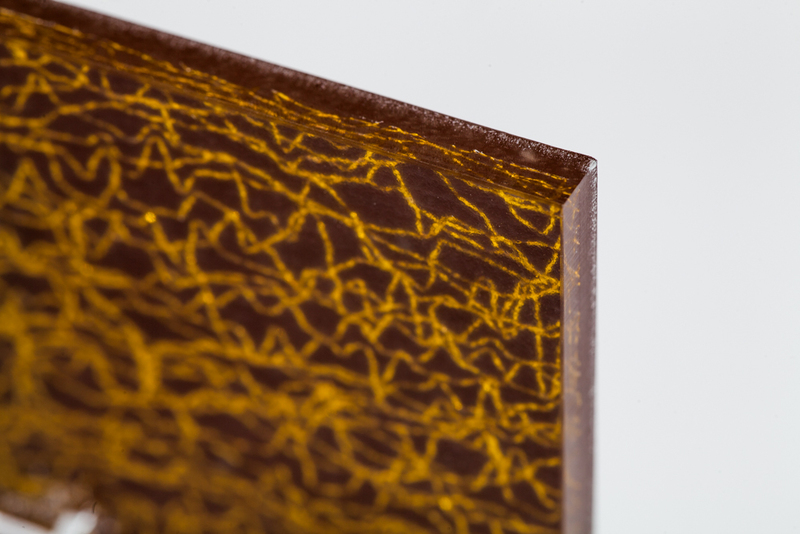 Designed to illuminate the darkest stairwells, LUMA-press is manufactured using our thermoforming technology to embed the brightest, longest lasting, non-toxic, photoluminescent material. 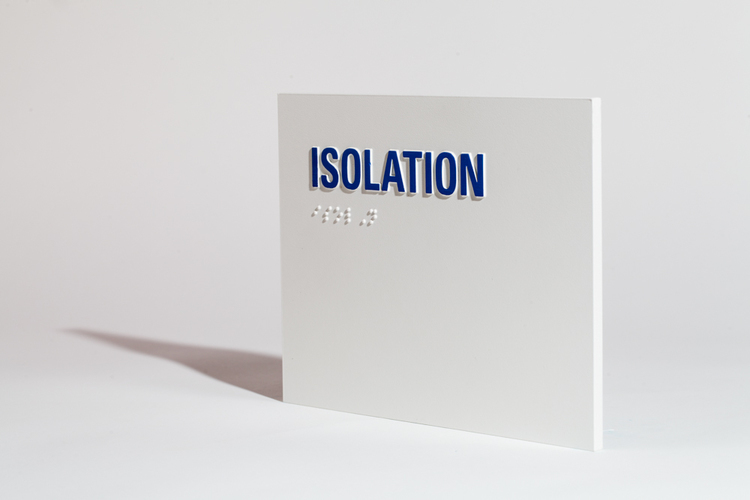 Clear thermoformed acrylic pressed into custom shapes and sizes with ADA compliant text and Grade II Braille. 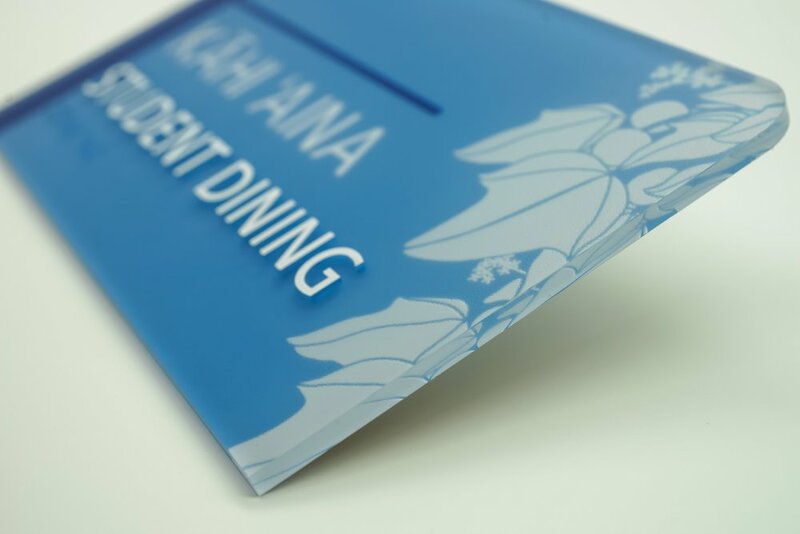 Designed for sign shops to apply their paint and graphics capabilities in order to meet their end-user requirements with a high-quality solution. Recommended Uses: Unlimited applications; perfect for sign shops to apply their graphics and markup. 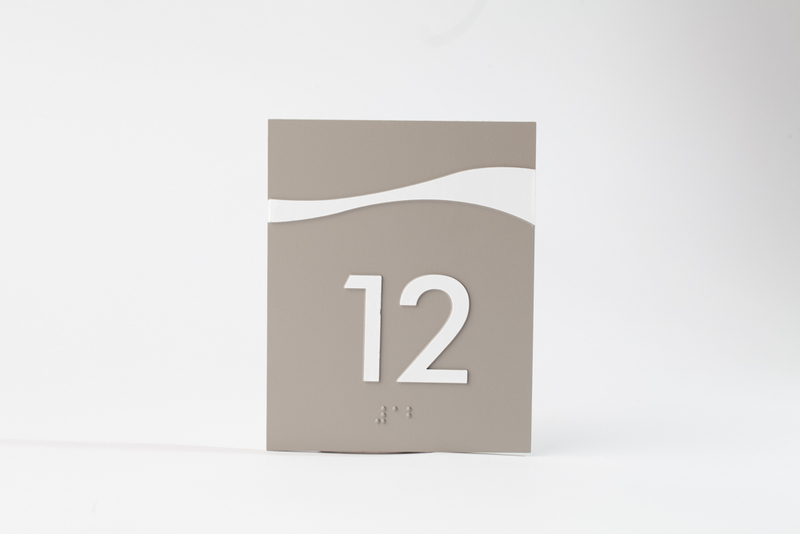 Thermal fusion of acrylics with Top-surface paint or high-resolution graphics. 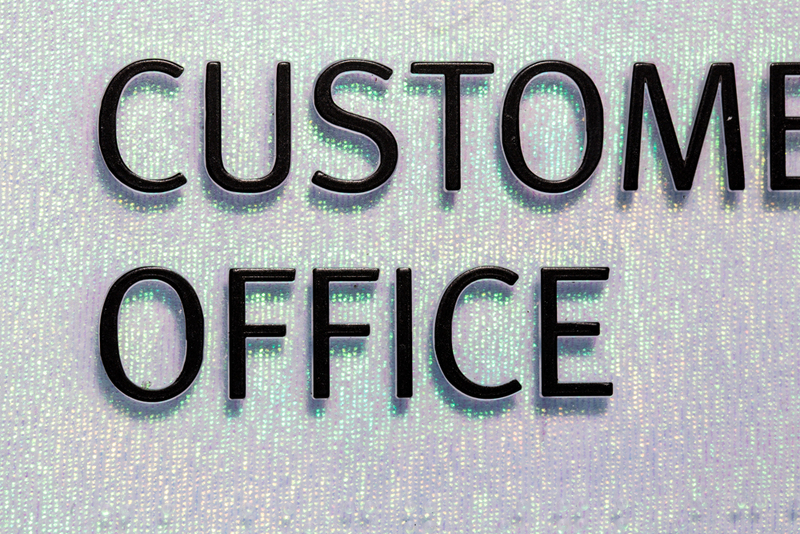 A direct substitute for the ordinary, high-VOC photopolymer sign. Introducing, SURE-press. A bendable, curvable solution for insertion into most curved frame systems. Precisely aligned to fit our modular directory systems, by Workshop . 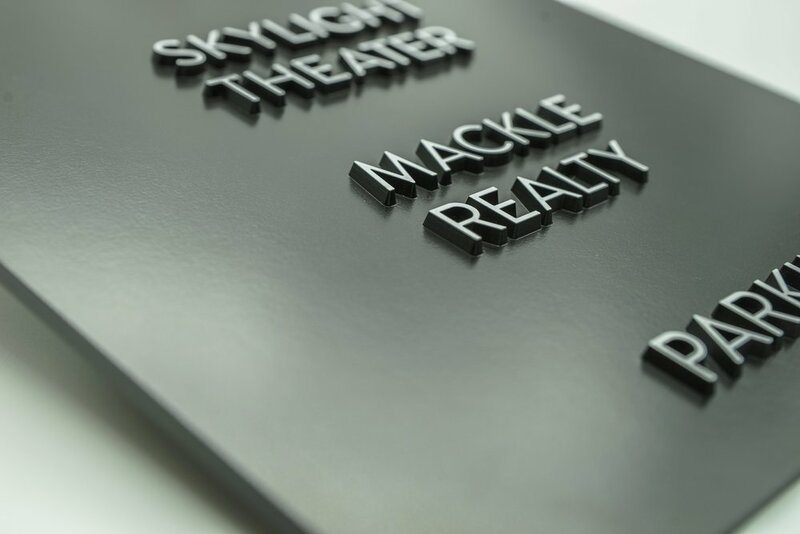 The unprecedented combination of soft-strata substrates and new-age hydraulic press technology has enabled the creation of a fully pliable, non-rigid ADA sign. The first of it’s kind. 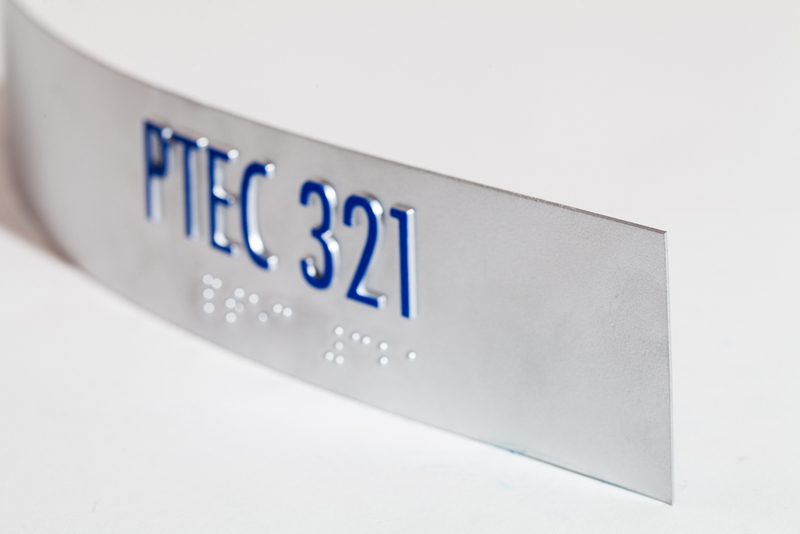 A sign with unique FLEX-press characteristics has long been needed in specialized environments for safety and code compliant purposes. 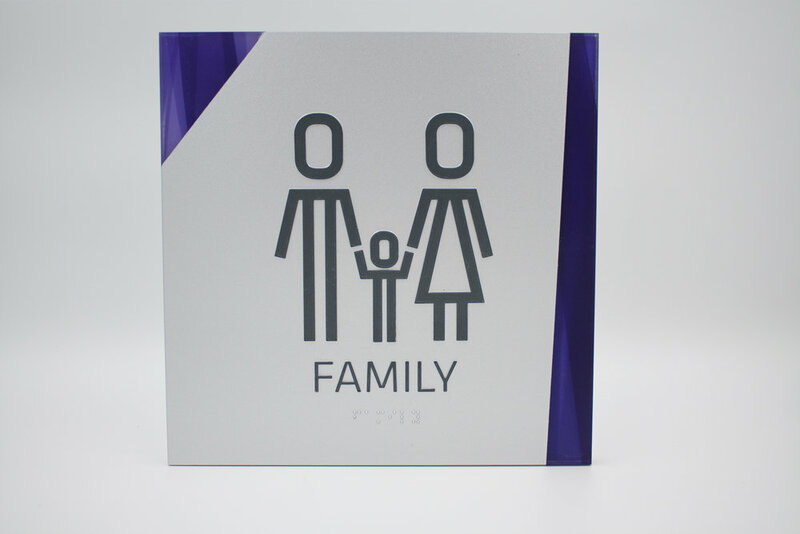 The new manufacturing capabilities has enabled the creative blend of soft, fully-bendable materials finished-off with rounded radius corners for the ultimate safety in an ADA sign.